No matter what your goal, our customized interior & exterior painting services provide the most effective solution for your home-improvement needs in the Fleming Island, Orange Park, and Mandarin surrounding area. 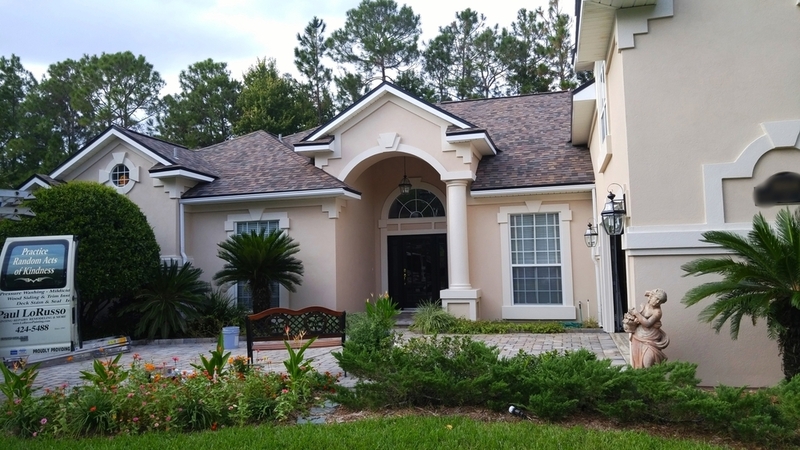 One of many top quality exterior paint jobs completed by our team in Fleming Island. Our expert painters are experienced in our climate and know what it takes to keep your paint job properly maintained. Your Fleming Island residential home's exterior will endure more abuse than most other homes in the country. Due to Florida's extreme weather conditions including hurricanes and rain storms, exterior painted surfaces have to be able withstand a lot of damage over time. Erosion can occur due to a variety of reasons, the key to keeping vitality in your home's exterior is proper maintenance and upkeep from day one of the initial coating. A lot of people don't think it's necessary to hire an exterior painting company to complete their project and try to take care of it themselves. They soon find out that care in every single part of the painting process isn't just crucial to the success of the following step, whether it's the preparation, the initial coating of primer or the final touch up, but each step actually plays a tremendous role in the overall quality and health of your paint job.